Christmas is a time of spirit, love and cheer. This is also a time to send your Christmas wishes to family and friends. Allow us to help you share your messages for a happy Christmas with the use of the following Christmas wishes. Isn't xmas a great time if the year? Wishing you a warm Christmas! I love you more and more for every Christmas we spend together. My gift to you this Christmas is to tell you how much I love you! Be cozy and warm this Christmas season with lots of yummy treats. Presents are fun but remember it's God's presence that are what Christmas is all about! May your Christmas be magical and full of Christmas spirit. I hope you have a Christmas worth talking about over and over again! Wishing you peace and joy this Christmas and may Santa find his way to your warm and cozy home. A Christmas card for one of my closest friends. Wishing you lots of happy companions this Christmas. Christmas is a time to celebrate family and friends so this is my chance to tell you how much you mean to me. May you feel love and comfort from your family and friends that surround you each and every Christmas. May your angel on top of your Christmas tree shine brighter than any other this Christmas Day. Merry Christmas to my favourite person in the whole wide world. Sending you cheerful vibes for a beautiful time on your Christmas Day. May this festive season be filled with miracles and the true meaning of Christmas. Through the spirit of Jesus, I wish you a very Merry Christmas. 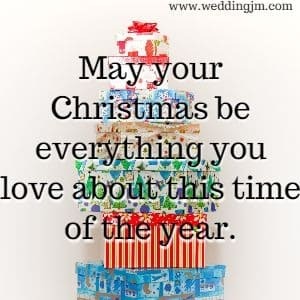 Christmas parties, gifts galore, Jesus Christ and family and friends that bring you joy. Joyeux Noel to a great Christmas and an even greater New Year! May this Christmas be perfect for you and your family! I even wish for a white and snowy forecast! Light the fire, drink eggnog and read your favourite book by candle light to make your Christmas great! This Christmas, put away the expectations and do all your favourite things. My hope for you this Christmas is that mistletoe will find you and all your dreams will come true. Christmas can be a spiritual time when we think about the true meaning of Christmas. 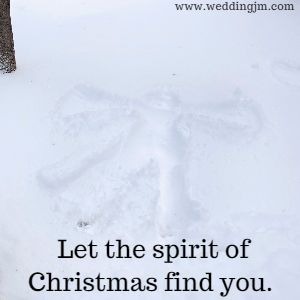 Let the spirit of Christmas find you. Bows and ribbons don’t make our Christmas great. Its the love and happiness between family and friends. Santa is coming to town, so watch out and keep a look out for those black boots as they will be making their way down your chimney before you know it. Jingle your way to a terrific Christmas and may this holiday be something out of a x-mas carol. I know how Christmas can be a crazy time of year, so my wish for you this year is to have a blizzard day where you get stuck home with nothing to do but relax. Joyeux Noel, Feliz Navidad, or Merry Christmas! It doesn't matter how we say it. It all means the same thing! Here to you having a great holiday. Allow the carols to bring you comfort and joy this holiday season. Maybe even partake in a few yourself!! Holidays are a time of year when we feel more charitable. Take this time to be generous but use this new year to show that feeling charitable can happen all year long. Christmas trees and Christmas lights bring lots of joy and glee. Merry Christmas is my wish to you this year, sent to you by me with a love and a kiss. Wishing you a bright and shinny Christmas morning filled with peace and happiness for a New Year. This time of the year we see sparkling lights on our trees, covered in white snow. May you see the beauty the trees provided during a cold and windy winter. Every year we have another chance to make our Christmas better than the last. This may mean something different to everyone. So my wish to you is, this Christmas is everything you want it to be. I appreciate you, not just once a year when we are festive, but all year long! 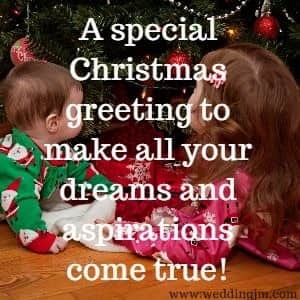 A special Christmas greeting to make all your dreams and aspirations come true! Christmas bring many wishes from many different people. The only wish you need is the one that comes from above. Wishing you a Christmas filled with joy and wonder that you will enjoy in all ways. The emotions that Christmas brings can be overwhelming at times, so think positive thoughts and look for the good in every situation. May the coming holiday be exciting and a happy time of your life. Merry Christmas to someone who I highly admire, love and am thankful for. Every year you accomplish a beautiful Christmas dinner for us all, and every year I am excited to join you for the wonderful event. May this Christmas bring you nothing but joy and happiness. My Merry Christmas wishes are just for you with many blessings from God in your home and with your family. Sleigh bells ring, I am listening, to the sounds of Christmas bells and children laughing. May this be the same sight and sounds you here this Christmas. Glee and love is all you need on Christmas morning! Its a Christmas to remember and be proud of. So much has changed, but our traditions stay the same, always! Christmas time is a special time when we all come together in good faith and spirit. Ice skates and icicles, the love of winter is here. May your Christmas be everything you love about this time of the year. Wishing you joyful thoughts and mindful moments filled with merry exchanges between you and your loved ones. Sending you mistletoe this season with many hugs and kisses to brighten your Christmas. Whether you are naughty or nice this year, may Santa find you and give you everything you deserve this season. I hope you were nice! An occasion to be excited about with many memorable ornaments to share with family and friends. Christmas surrounds us with all our favourite things. May your Christmas be no different! Wishing you an old fashioned Christmas with the popcorn stringed decorations and all the memories to go with it! Don't make this Christmas a ritual, make new memories this year to add to all the great traditions you already have. Listen for the bells jingling, and watch for the lights to twinkle. Watch for all the little things this Christmas, because its the little things that matter! Kris Kringle will be heading your way, with his jolly attitude. May you feel the jolliest of feelings yourself! Happy Christmas and many great memories to a wonderful family who makes amazing memories all year long. From my house to yours may this Christmas be filled with love and joy with the loudest of laughter. Christmas time is here and there is nothing you can do about that, so take the time to enjoy these holidays as they won't be around for very long! Happy Holidays and best wishes on a cold and snowy Christmas! Sometimes Christmas isn't happily anticipated by everyone as it is for some. I hope your circumstances did not make your anticipation any less excited. Holidays are a special time for family. Happy holidays from our family to yours. Merry Christmas during this winter wonderland! A white Christmas it is for us! Let the lights twinkle and the ornaments shine. Wishing you a Christmas filled with sparkle. During my favorite time of year I am sending many wishes to make this day as great for you as I always hope it will be. Greetings this holiday season. Sending my bestest wishes to you and your family. Winter wishes on this cold December day. Wishing you a warm drink and a roaring fire! 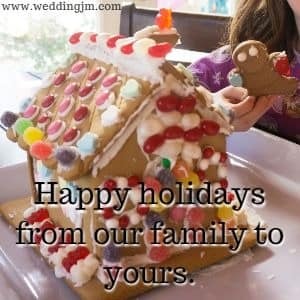 May your home be filled with comfort, great food and great company this holiday season! Tis the season to be happy, helpful and kind. Treat others nicely this holiday season. 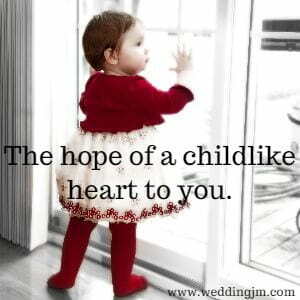 A special time to celebrate a joyous day with wonderful people surrounding your every move. Holidays are filled with so much good. They are the perfect time to share all that good with the ones you cherish. On this festive season, wishing you a day of great hopes and dreams coming true. Lets celebrate this wonderful time of year with as much love as we can muster. Warm wishes on this cold and frigid winter holiday. Stay warm and cheery this holiday season. Wishing you snowflake kisses and snowman hugs with the love of winter to warm your heart. I love how you embrace this time of the year and wish that others would embrace it the same way. When you were little I use to watch you make snow angels. Was so happy to be able to watch you grow into an angel who loves snow! Lights and smiles, family and friends. I wish you all that this season brings and more. May your mittons and boots make your outsides be toasty. May your favourite warm drink make your insides cozy. This year many celebrate with presents and carols. Others enjoy just the warmth and kindness of many. Family and friends come together in love and joy. May your time together be filled with all the same.